The decision to build an oil pipeline in 1963 would see five years before the completion of the first main crude oil pipeline to Ventspils through the territory of Latvia. A few years hence, a petroleum product pipeline was built, as well as pumping stations Ilukste, Dzukste, and Skrudaliena. 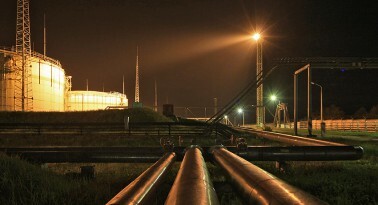 Construction of the transit complex was completed by launching the crude oil pipeline Polotsk-Mazeikiai in 1978. 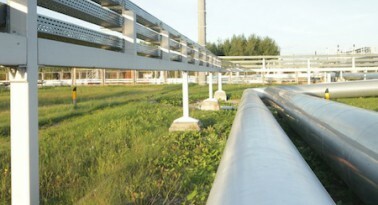 The first crude oil pipeline in the territory of Latvia is launched: Polotsk-Ventspils. It is part of the joint pipeline system of Russia; through which oil from Pievolga, Urals, and Pechora oil fields was transported to the West. This crude oil pipeline was built within four years. 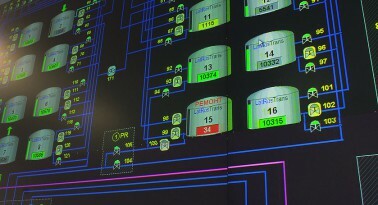 Administration of the Baltic Region of the Main Petroleum Product Transmission begins operations. 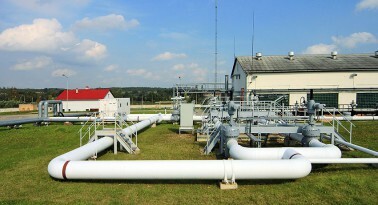 The Unecha-Polotsk-Ventspils petroleum product pipeline, which runs parallel to the crude oil pipeline, was completed after three years of construction. The petrol pumping station Ilukste begins operations. 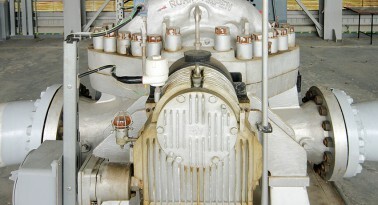 Crude oil pumping stations Dzukste and Skrudaliena begin operations. A pipeline for delivering crude oil to the Mazeikiai oil processing plant is completed and begins service. 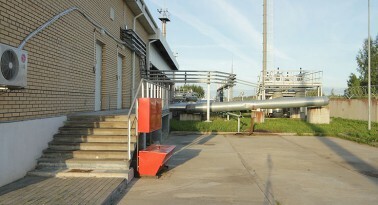 The petrol pumping station Ilukste is transformed into a line production control station (LRDS). After the Republic of Latvia regains its independence, the State Oil Transport Company is established through a resolution of the Council of Ministers. It assumes supervision of the main pipelines and pipeline complex, which were located in nation’s territory, as well as the Administration of the Baltic Region of the Main Petroleum Product Transmission. The property of the State Oil Transport Company is acquired by the joint stock company LaSaM. In the same year, the Latvian-Russian joint venture LatRosTrans is established on the basis of an agreement reached between the Latvian and Russian governments. Its task is to engage in transportation of crude oil and petroleum products by pipelines, their accounting, pumping, and delivery to storage tanks. 66% of the equity capital of LatRosTrans is held by the joint stock company LaSaM, who represent the national interests of the Latvian party. The remaining 34% is held by the joint stock company Transnefteprodukt. Strategic issues are resolved through mutual agreement. 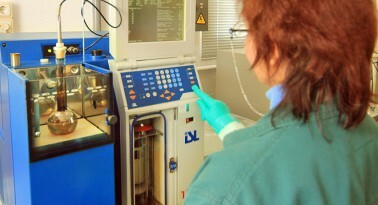 The company’s head office is established in Daugavpils. The state-owned shares of LaSaM are submitted for privatisation. 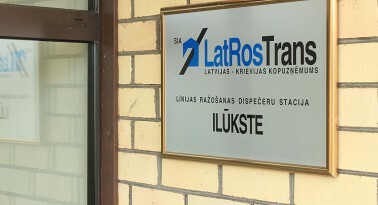 As result of privatisation in the preceding year, LaSaM is bought by Ventspils nafta, which becomes the owner of the shares of LatRosTrans Ltd heretofore owned by the Latvian party. A five year modernisation and reconstruction program commences; comprising improvements in the electric power grid, updates to automation and technological infrastructure, and diagnostics of the physical condition of the pipelines plus the relevant repair work. At the close of the year LatRosTrans agrees with three terminals of the Ventspils Free Port: Ventspils nafta, Ventbunkers, and Naftas parks; to merge warehouse tank capacity in order to a serve larger transit traffic of petroleum products. LatRosTrans achieves considerable results by pumping 24 million tons of crude oil and petroleum products. About 10.37 million LVL are invested into the company’s development. The volume of transported oil through the Polotsk-Ventspils route is over 13 million tonnes. In the Polotsk-Mazeikiai route, nearly five million tonnes; while the volume of petroleum products in the Polotsk-Ventspils direction is 3.58 million tonnes. 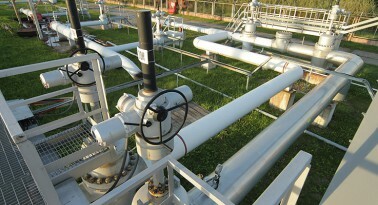 About 12 million LVL are invested in reconstruction of the main pipeline systems. To this end, LatRosTrans performs reconstruction and modernisation work in cooperation with Tuboscope, Vetco, AEG, Siemens, ABB, SAAB, and Daniel. Within the investment program, LatRosTrans continues reconstruction and modernisation of the main pipelines, pumping stations, and infrastructure assets; thereby improving the competitiveness of the company and the entire Latvian crude oil and petroleum product transit corridor. 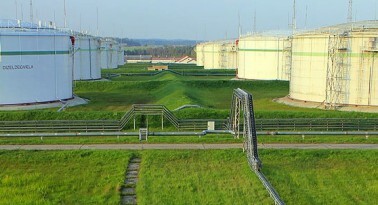 The Russian oil pipeline company Transneft and the Federal Energy Commission of the Russian Federation elect not to allow export of Russian crude oil through the Ventspils corridor and divert the maximum possible portion of cargo volumes through the Primorsk oil terminal owned by Transneft. Crude oil transport to Ventspils stops on December 14. The pipeline in the direction of Mazeikiai continues operating. In spite of the unfavourable business environment, LatRosTrans substantially raises competitiveness and technical options, by investing more than 19 million LVL into the reconstruction of the main pipelines and pumping stations. Upon reevaluation of business prospects, LVL 15 million are invested into the modernisation of the main pipelines and pumping stations and into projects for increasing petroleum product transportation capacities. The volume of transported diesel fuel increases by 1.1 million tons compared to 2003 – 5.7 million tons of diesel fuel are transported via the main petroleum product pipeline to the Ventspils port. Modernisation of the petroleum product main pipeline section is carried out by building ten kilometres of bypass pipelines. 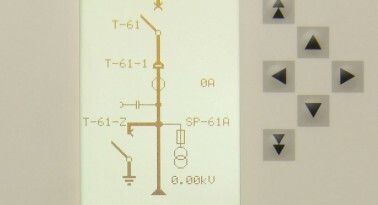 In order to combat theft of petroleum products, nearly three million LVL are invested into constructing a new, modern petroleum product metering unit; which allows for far more precise control of the flow of petroleum products through the pipeline and can be considered an essential element of the petroleum product record-keeping and control system. Within the framework of the development program, eight million LVL are invested into the construction of the main pumping station, modernisation of communication systems, and other technology improvement projects. There is a considerable decrease in external abnormal losses of petroleum products resulting from illegal activities. New technological solutions are implemented, and the capacity of the petroleum product pipeline reaches eight million tons per year. Crude oil transportation through the Polotsk-Mazeikiai pipeline stops on July 30, and henceforth the transportation of petroleum products via the Polotsk-Ventspils pipeline becomes the only source of income for LatRosTrans. 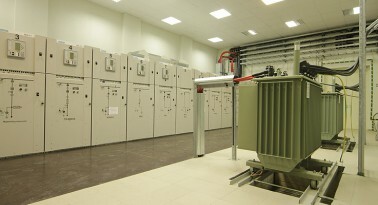 The new pumping station LRDS (line production control station) Ilukste resumes operations after reconstruction. After the investment of more than six million US dollars, the commercial registration facility of petroleum products – NPS Skrudaliena – is launched, thereby ensuring automatic and more precise control of petroleum product flow. 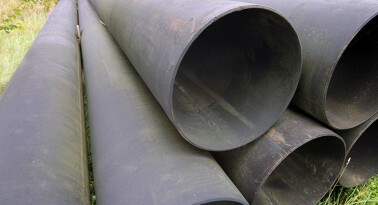 Transport volumes of diesel fuel in the direction of Ventspils decrease on account of repair work on the pipeline in the territory of Belarus. 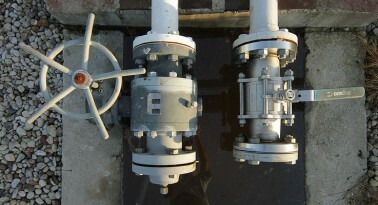 Alternative possibilities of using the crude oil pipeline are sought. Investments into modernisation of infrastructure continues. 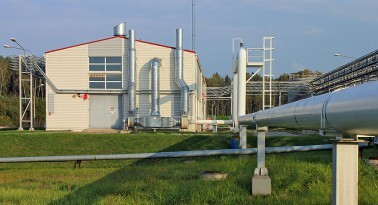 The decision is made to empty, chemically cleanse, and conserve the Polotsk-Ventspils crude oil pipeline in order to fill it with inert gas, which is an environmentally friendlier filler for the pipeline. 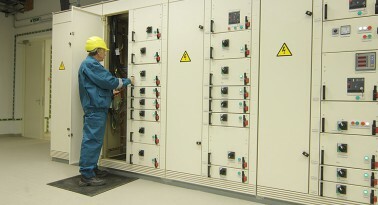 The Czech company CEPS wins the contract for this work. 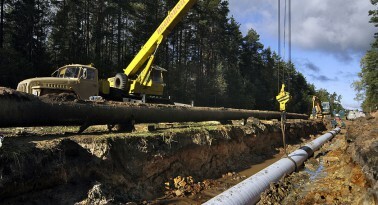 Emptying of the crude oil pipeline in the section from the Latvian-Lithuanian border to the Dzukste station commences in November. LatRosTrans itself carries out all the earthwork, welding-assembly, and cargo loading works that are necessary for the project. 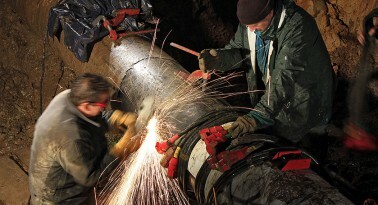 Despite the complexity of the work, emptying of the pipeline section is accomplished within 15 days. 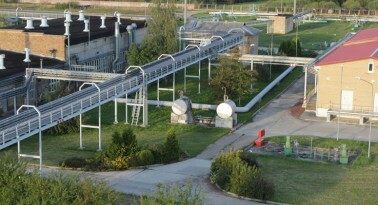 Chemical cleansing of the 102 kilometres long empty section of the pipeline from the Latvian border with Lithuania to the oil reloading station Dzukste is carried out in May. After cleansing the pipeline of remaining oil, the conservation operation is completed by filling it with nitrogen. 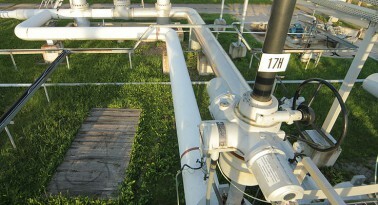 The high concentration of nitrogen and the alkaline conditions inside the pipeline lessens the risk of corrosion. This also prevents the possibility of environmental pollution in the event of an accident or illegal connections. 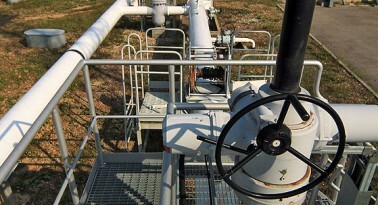 As a result, the pipeline section is prepared for future transport operations of petroleum products or gas. A further LVL one million is invested in the company. LatRosTrans begins implementation of its development plan for the next four years wherein it plans to invest 7.4 million LVL in economic activity.